Clean corn and remove all silk. In a large pot fill 3/4 full with hot water and bring to a roiling boil. Put clean corn in water and boil according to the chart. While corn is boiling, mix water and ice. 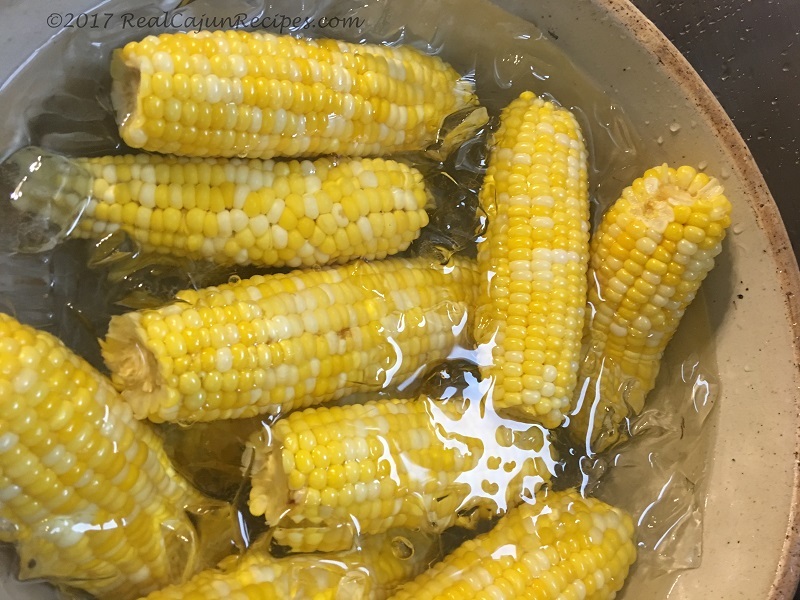 Remove corn from boiling water and plunge into ice water mixture and leave in iced water for the same amounts of minutes as the cooking time. If ice melts add more ice. Remove corn, place on fresh towel or drain in colander. Then place in freezer bags and freeze. When ready to eat, thaw corn and reheat in boiling water 2-3 minutes or in microwave until warm.